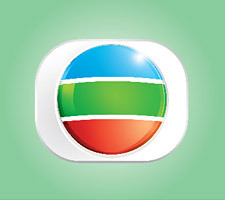 Digital Terrestrial TV services will officially launch in Hong Kong on 31 December 2007. Other than the enjoyment of superb high definition picture quality and new programmes, an important benefit of Digital Terrestrial Television (DTTV) to viewers is that they can enjoy interactive services consisting of useful information such as Electronic Programme Guide (EPG), Headline News, Weather, Financial Information and Enhanced Programme Information as well as other online interactive services such as Voting and TV Shopping. However, in order to be able to enjoy this important benefit of DTTV, Set Top Box (STB) must contain a middleware that matches the requirements of the broadcaster. To ensure that early buyers of STB's are not disadvantaged, it is important for the broadcaster to announce their requirements of the middleware as soon as possible. Television Broadcasts Limited (TVB) has chosen the middleware of MHEG-5 for its interactive services as this middleware is widely used in one of the world's most successful DTTV markets, the United Kingdom, and will soon be adopted in New Zealand and possibly Singapore. Furthermore, we have designed a logo to represent that a STB has the necessary middleware to support TVB's interactive services. Today, we are very pleased that the first STB in Hong Kong to contain the TVB-required MHEG-5 middleware is being launched. We encourage all suppliers and retailers of STBs to support the advanced development of DTT in Hong Kong by incorporating MHEG-5 middleware in their STBs. We hope all consumers will consider very carefully to choose only higher tier STB that bears the TVB interactive logo so that they can enjoy the full benefits that DTT can bring to their household and not just part of the benefit. Suppliers can contact Mr Garry Kum (Tel: 2335 7429, email address: garry.kum@tvb.com.hk) for the full specification of the MHEG-5 middleware required to support TVB interactive applications.